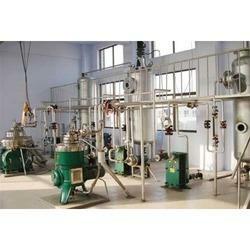 Leading Exporter of chemical refining plants for vegetable oils from Hyderabad. We are among the most celebrated names in the industry, offering Chemical Refining Plants to our esteemed customers. These plants are specifically designed for various seed oils like canola, cotton seed, sunflower oil, etc. the process involves pre-treatment of the oil with acids and neutralization with caustic. It effectively removes several impurities from the oil, making it suitable for usage in multiple applications. Looking for Chemical Refining Plants for Vegetable Oils ?